Coffee pot hack to save $$! Though I thought it might never come, spring is finally upon us! With it comes iced coffee season, the happiest season of all. 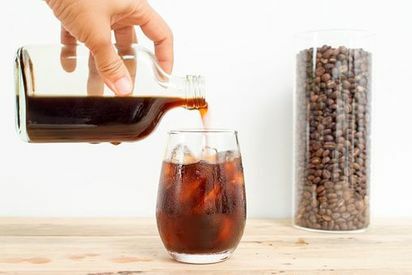 There’s so many types of iced coffee, from nitro and cold brew to whatever terrible brown water my neighborhood bodega sells. Usually, I rely on the professionals for my coffee fix, but now that I know this hack, I’ll be taking matters into my own hands.